Sontext UK is a company that is dedicated to selling High Quality Acoustic and Noise Control Products. 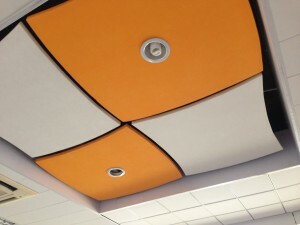 Sontext UK sell a range of Acoustic Panels designed to reduce noise and improve sound Quality. Sontext have been selling Acoustic Panels throughout The Middle East, USA, Asia and Australia. Acoustic Panels are very important to improve the Acoustic performance of a space, this could be for example an auditorium, Broadcast studio, School, or Conference room. Acoustic panels are designed to remove unwanted noise or reverberation while adding to the décor of the room.